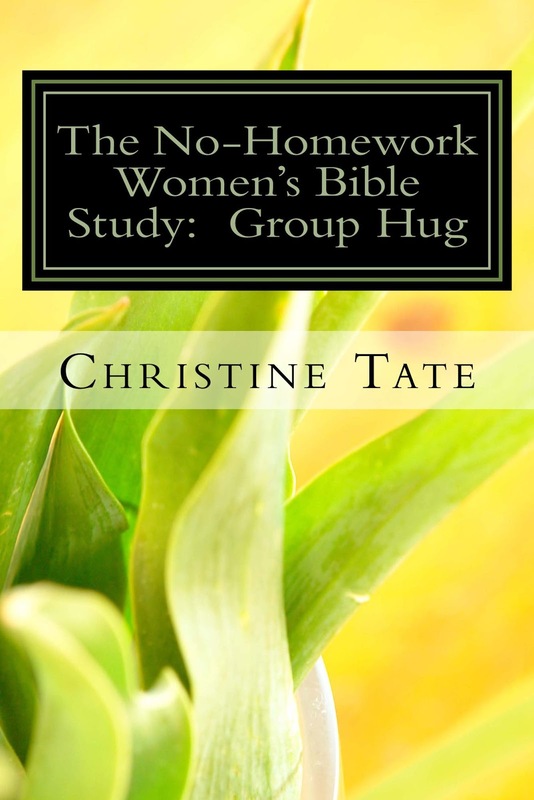 The No Homework Women's Bible Study: Group Hug by Christine Tate is a short study guide (50 pages) for small group Bible study. This guidebook is designed to be written in and has plenty of spaces for note-taking and reflecting on the questions in each lesson. The lessons are relevant to young women, with topics including self-care, organization, people pleasing, being prepared, weight management, Christian relationships, and more. Each of the eight weekly lessons begins with an ice breaker activity, then has a ten-minute lesson, followed by thirty minutes of discussion questions, which are the heart of the study. The author encourages readers to work in a small group, in a home setting, to establish a supportive circle of women who can both hold each other accountable and provide a safe network of prayer partners and mentors. The No-Homework Women's Bible Study: Group Hug is a wonderful way for busy women to carve out about an hour a week to grow closer to the Lord and to strengthen their faith while deepening their friendships. The BookCrash.com book review program, which requires an honest, though not necessarily positive, review, provided a review copy of The No-Homework Women's Bible Study: Group Hug.